It should be remembered that Rome was not built in a day. So, with a forecast for rain all day, there probably weren’t going to be many attendees to the first meeting of the Virginia Chapter of the Brotherhood of St. Moses the Black. 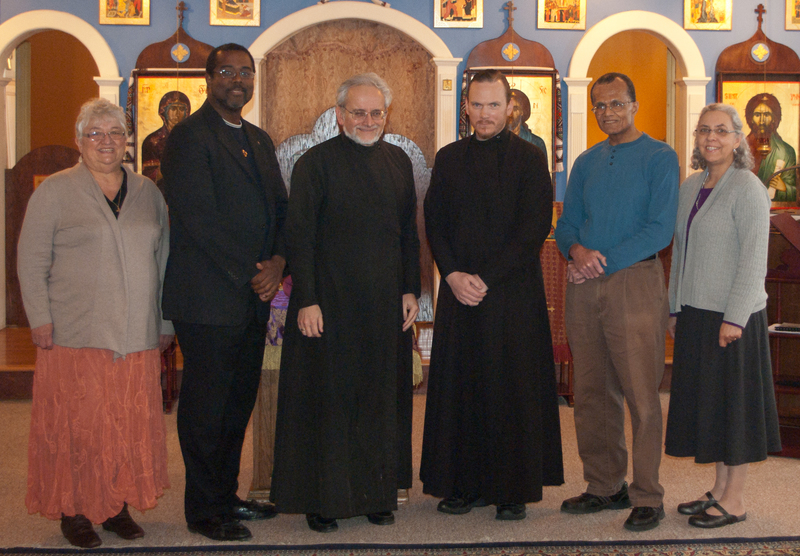 But, the six Orthodox believers that came together today had a good sense of optimism, love for Christ, and a vision for sharing the ancient faith with African-Americans and others who are unfamiliar with the rich legacy and spirituality of the Church. Three main areas our chapter will focus on will be our constitution, evangelism, and a state-wide event honoring St. Moses and the African fathers and mothers of the church. Basil Carter of St Nicholas will head the effort in writing up a constitution for our chapter. John is already stepping into evangelism and has presented a draft of a flyer entitled “The African Roots of Orthodox Christianity.” This publication will be of the Virginia Chapter and when finalized, will be sent to each member to print and fold as needed. It was suggested that we make our presence known at various African-American and regional festivals and to work alongside the Orthodox Christian Fellowship to evangelize on college campuses. If requested, John will travel to events to speak on topics that will encourage African Americans to inquire about the Orthodox Church. 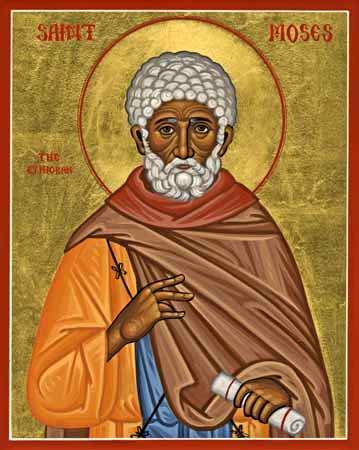 An ambitious project is to hold an event in honor of St. Moses. John will look into a location in the Tidewater area and contact African and African-American organizations that would be interested in learning about the African presence in early Christianity. Sarah will look into finding a speaker for the event. One name in particular came up. He will remain unmentioned until we have some confirmation. Popadia Susan Fury of St. Innocent led us in singing the Troparion of St. Moses as we brought our first meeting to a close. We thank God for Fr. Robert and St. Nicholas Ukrainian Orthodox Church for hosting us. May God continue to bless our chapter, our brotherhood, and His One Holy Catholic and Apostolic Church. The Southern California Chapter is in the earliest stages of planning a Juneteenth Celebration (at St. Peter Antiochian in Pomona, CA). That commemoration is a rather positive, affirmative opportunity to draw thoughtful people. If it goes off like envisioned, we should have booths, bands, a speaker and tours of the church. It should also serve as fund raiser allowing us to buy books and booklets for distribution to inquirers. The idea came from one of our members a couple weeks ago, and I’m excited to see it happen here AND in as many Chapters as are interested. Juneteenth is usually underserved (like our target demographic), and our local Orthodox Church can fill an interested contingent out there, I hope. Wow! That sounds like a heck of an undertaking. I wish you the best.